What Office 365 Triggers and Actions are Supported? Updated Event - Triggers when an event is updated. New Event - Triggers when an event is added to a calendar of your choice. New Email - Triggers when you get a new email. New Contact - Triggers when a new contact is added. New Folder - Triggers when a new folder is added to Outlook. New Calendar - Triggers when you add a new calendar. Create Contact - Create a contact in your Office 365 account. Send Email - Send an email from your Outlook account. Create Event - Create an event on a calendar of your choice. 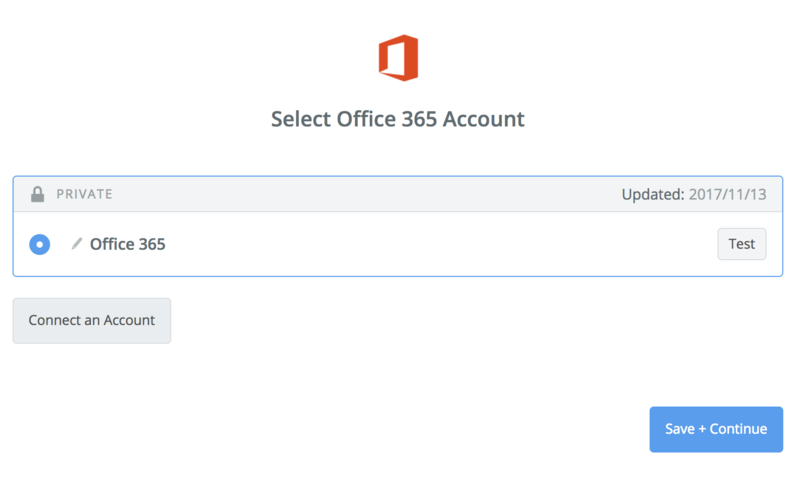 To get started with Office 365, first click to add a Office 365 account to Zapier to be used in your zap. First, make sure you can properly log into https://outlook.office365.com/. Usually, that means you must have an Office 365 Business or Office 365 Enterprise account in order to use Zapier. You won't be able to connect to a personal or education account. Live.com or other personal Microsoft accounts. 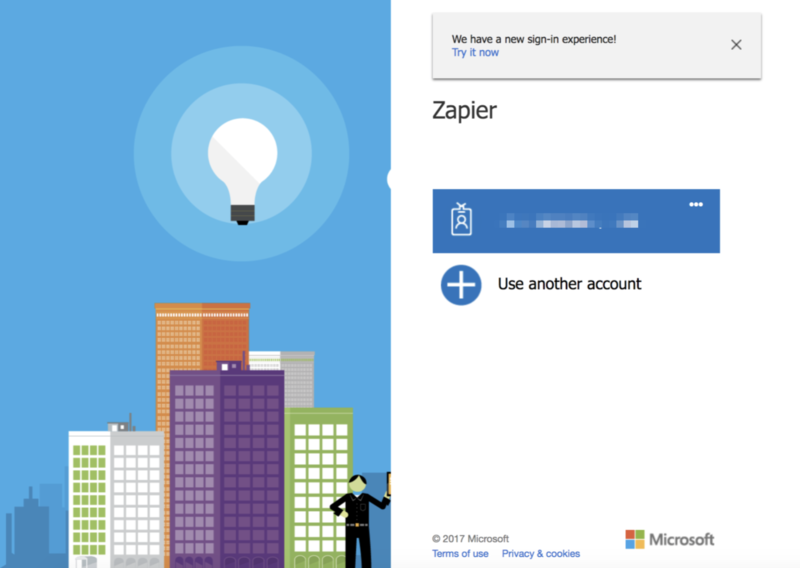 If you're getting and error that says The user or administrator has not consented to use the application with ID 'XXXXX', this means that your Microsoft account doesn't have the right permissions to connect to Zapier. You'll need to have your Office 365 administrator grant you access to connect to third parties. Unfortunately, there is no way around these limitations. When your token expires, you will need to reconnect your account to Zapier. You can do that by going to the Connected Accounts page and clicking the reconnect button next to Office365, then typing in your credentials.